Fair Trade Crochet Cotton Blue Snake Baby RattleFair Trade Crochet Cotton Hippo Toy Rattle, pink stripe. 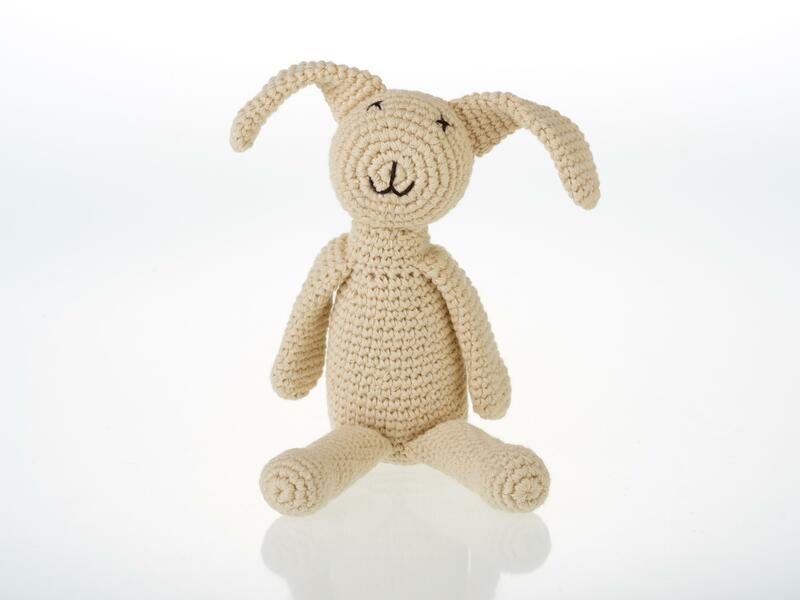 This my first bunny baby rattle in cream is handmade from crochet soft cotton by a fair trade organisation. These baby bunny toys are suitable from birth and machine washable and would make an ideal gift for a newborn baby or a baby shower gift.